res 1981 Roger Jones; missing pipework replaced 1987 Roger Jones. 1 manual, 7 speaking stops, 1 coupler, tracker, Man: 8.8.8.4.4.2. Ped: 16. Rebuilt & enlarged 1989 George Stephens. Gt: 16.8.8.8.4. Sw: 8.8.4.2.II. Ped: 16. 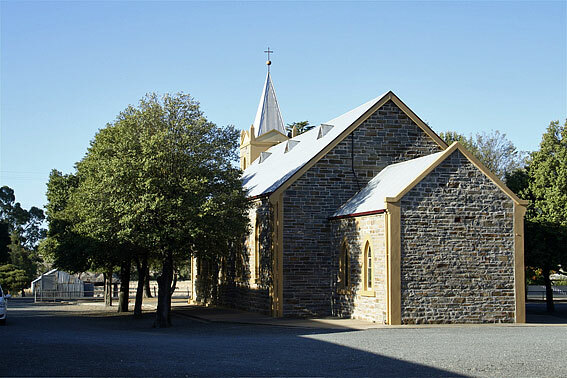 The settlement at Bethany preceeded that of Langmeil nearby in Tanunda by only a few months. 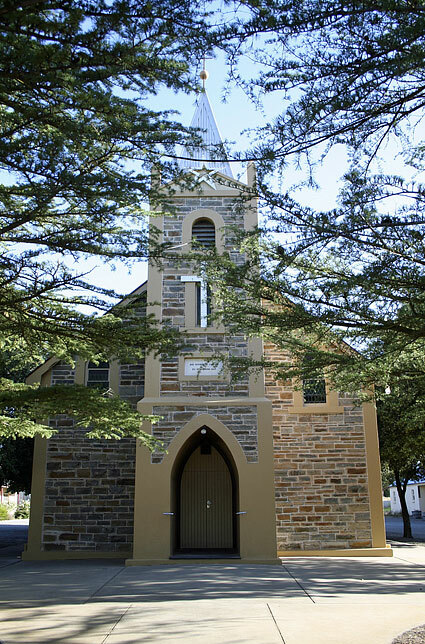 The first church was built in 1845 by a group of settlers under Pastor Gotthard Daniel Frietsche and was replaced by the present structure in 1882. 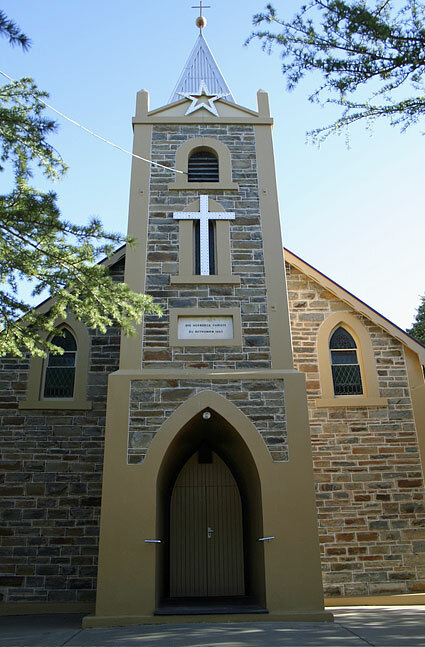 Doctrinal differences with Pastor Kavel, who ministered to the Langmeil congregation, saw two "mother" churches evolve, smaller groups aligning with either one. 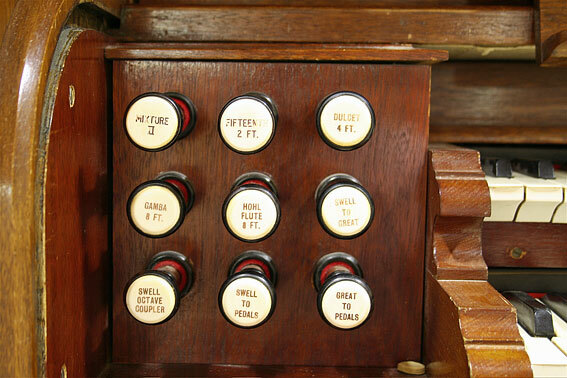 The first organ at Bethany is now to be found in St Thomas' Lutheran Church, Stockwell, being replaced by the present instrument which was dedicated on 20 November, 1929. It appears to have remained in original condition until 1989 when a Principal 4', Fifteenth and two rank Mixture were added by George Stephens. 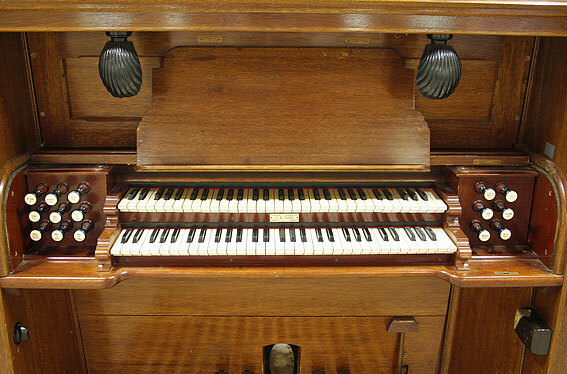 The origins of the first organ at Bethany are somewhat clouded. 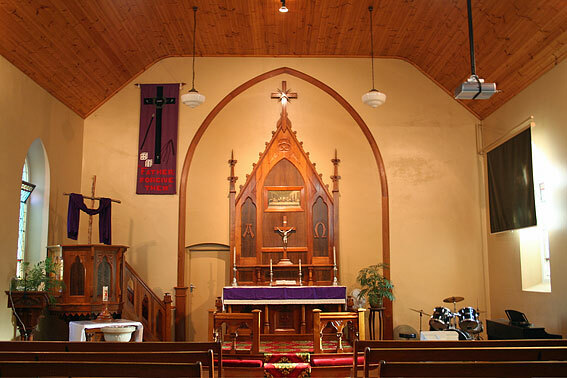 That an organ was installed is quite clear but in the absence of church records, or a builder’s nameplate, neither the builder nor its date of acquisition can be definitively stated. 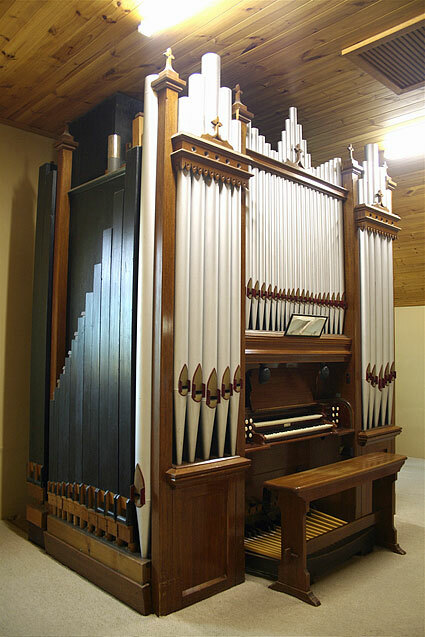 By comparison with another instrument it is reasonable to come to the conclusion that it was built by J.C.A. Krüger prior to his moving to the Western District of Victoria in 1855. 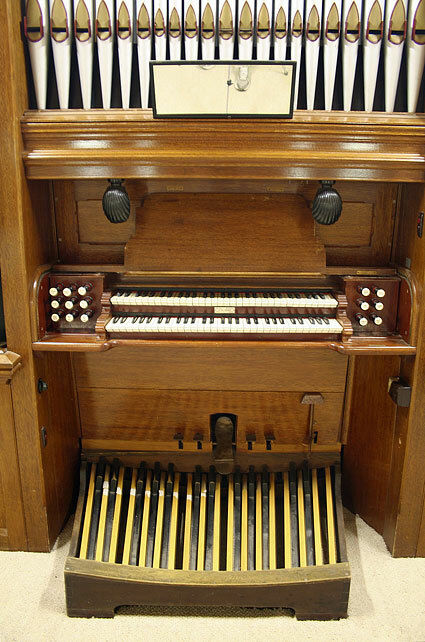 The constant repair required on the first organ led to the decision to purchase a new instrument in 1928. Additional costs were incurred. 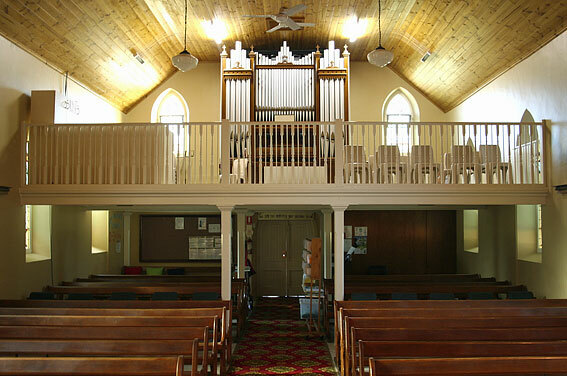 For ventilation, a fan was to be installed, but not above the organ; extra space was required, the choir had to be made broader and lower; and a much larger water meter was needed for the organ’s water engine. 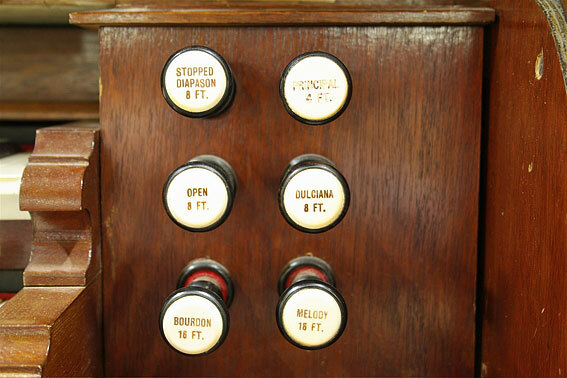 The old organ was traded for £75. After renovation and the incorporation of additional pipes by J.E. Dodd & Sons it was eventually installed in St Thomas Lutheran Church, Stockwell. Between April and September 1989 George Stephens rebuilt the organ. 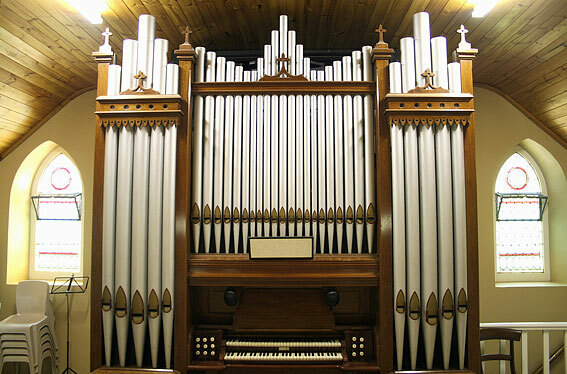 Three new ranks were added, the swell Fifteenth 61 pipes, the swell Mixture 122 pipes, and great Principal with a further 61 pipes, bringing the total to 640 pipes in the organ. The swell box was extended to accommodate the changes. Acknowledgement: I am indebted to L. Zweck, of the Lutheran Archives for the translation of the minute books from the German. 6 150th Anniversary of Herberge Christi Congregation and Settlement of Bethany 15 March 1992, p.14. On the assumption that Dodd undertook the repair, the firm’s records for the period are missing so no details are known. 9 Bethany Parish, Congregational Minute Book 1897-1932; meeting 9 November 1928, p.261; ibid. 20 January 1929.